This is an informed-consent document that has been prepared to help inform you of mini-abdominoplasty surgery, its risks, as well as alternative treatments. It is important that you read this information carefully and completely. Please initial each page, indicating that you have read the page and sign the consent for surgery as proposed by your plastic surgeon and agreed upon by you. The mini-abdominoplasty is a surgical procedure to remove excess skin and fatty tissue from the lower abdomen and possibly to tighten muscles of the abdominal wall. Abdominoplasty surgery is not a treatment for being overweight. Obese individuals who intend to lose weight should postpone all forms of body-contouring surgery until they have reached a stable weight. There are a variety of different techniques used by plastic surgeons for mini-abdominoplasty. The mini-abdominoplasty can be combined with other forms of body-contouring surgery, including suction-assisted lipectomy, or other elective surgeries. Alternative forms of management consist of not treating the areas of loose skin and fatty deposits. Liposuction may be a surgical alternative to abdominoplasty if there is good skin tone and localized abdominal fatty deposits in an individual of normal weight. Diet and exercise programs may be of benefit in the overall reduction of excess body fat and contour improvement. Risks and potential complications are associated with alternative surgical forms of treatment. Every surgical procedure involves a certain amount of risk and it is important that you understand the risks and the possible complications involved with mini-abdominoplasty. In addition, every procedure has limitations. An individual’s choice to undergo a surgical procedure is based on the comparison of the risk to potential benefit. Although the majority of patients do not experience the following complications, you should discuss each of them with your plastic surgeon to make sure you understand all possible consequences of mini-abdominoplasty. Change in Skin Sensation: It is common to experience diminished (or loss) of skin sensation in areas that have had surgery. Diminished (or complete loss of skin sensation) may not totally resolve after an mini-abdominoplasty. Skin Contour Irregularities: Contour and shape irregularities and depressions may occur after a mini-abdominoplasty. Visible and palpable wrinkling of skin can occur. Residual skin irregularities at the ends of the incisions or “dog ears” are always a possibility as is skin pleating when there is excessive redundant skin. This may improve with time, or it can be surgically corrected. Excessive tightening of the lower abdomen such as in a Mini-Abdominoplasty without addressing the upper abdominal muscles and skin may result in a puffy and fuller upper abdomen. The uneven abdomen correction may require additional surgery, or not as tight a lower abdominal repair as you, the patient, desires. Umbilicus: Malposition, scarring, unacceptable appearance or loss of the umbilicus (navel) may occur. Pubic Distortion: It is possible, though unusual, for women to develop distortion of their labia and pubic area. Should this occur, additional treatment including surgery may be necessary. Healing Issues: Certain medical conditions, dietary supplements and medications may delay and interfere with healing. Patients with massive weight loss may have a healing delay that could result in the incisions coming apart, infection, and tissue changes resulting in the need for additional medical care, surgery, and prolonged hospitalizations. Patients with diabetes or those taking medications such as steroids on an extended basis may have prolonged healing issues. Smoking will cause a delay in the healing process, often resulting in the need for additional surgery. There are general risks associated with healing such as swelling, bleeding, and the length of surgery and anesthesia that include a longer recovery and the possibility of additional surgery, prolonged recovery, color changes, shape changes, infection, not meeting goals and expectations, and added expense to the patient. 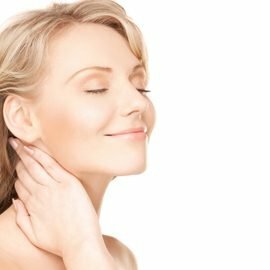 Patients with significant skin laxity (patients seeking facelifts, breast lifts, abdominoplasty, and body lifts) will continue to have the same lax skin after surgery. The quality or elasticity of skin will not change and recurrence of skin looseness will occur at some time in the future, quicker for some than others. There are nerve endings that may become involved with healing scars during surgery such as suction-assisted lipectomy, abdominoplasty, facelifts, body lifts, and extremity surgery. While there may not be a major nerve injury, the small nerve endings during the healing period may become too active producing a painful or oversensitive area due to the small sensory nerve involved with scar tissue. Often massage and early non-surgical intervention resolves this. It is important to discuss post-surgical pain with your surgeon. Bleeding: It is possible, though unusual, to experience a bleeding episode during or after surgery. Should post-operative bleeding occur, it may require emergency treatment to drain accumulated blood or you may require a blood transfusion, though such occurrences are rare. Increased activity too soon after surgery can lead to increased chance of bleeding and additional surgery. It is important to follow postoperative instructions and limit exercise and strenuous activity for the instructed time. Do not take any aspirin or anti-inflammatory medications for at least ten days before or after surgery, as this may increase the risk of bleeding. Non-prescription “herbs” and dietary supplements can increase the risk of surgical bleeding. Hematoma can occur at any time, usually in the first three weeks following injury to the operative area. If blood transfusions are necessary to treat blood loss, there is the risk of blood-related infections such as hepatitis and HIV (AIDS). Heparin medications that are used to prevent blood clots in veins can produce bleeding and decreased blood platelets. Infection: Infection is unusual after surgery. Should an infection occur, additional treatment including antibiotics, hospitalization, or additional surgery may be necessary. It is important to tell your surgeon of any other infections, such as ingrown toenail, insect bite, or urinary tract infection. Remote infections, infections in other parts of the body, may lead to an infection in the operated area. Scarring: All surgery leaves scars, some more visible than others. Although good wound healing after a surgical procedure is expected, abnormal scars may occur within the skin and deeper tissues. Scars may be unattractive and of different color than the surrounding skin tone. Scar appearance may also vary within the same scar. Scars may be asymmetrical (appear different on the right and left side of the body). There is the possibility of visible marks in the skin from sutures. In some cases scars may require surgical revision or treatment. Firmness: Excessive firmness can occur after surgery due to internal scarring. The occurrence of this is not predictable. Additional treatment including surgery may be necessary. Skin Discoloration / Swelling: Some bruising and swelling normally occur. The skin in or near the surgical site can appear either lighter or darker than surrounding skin. Although uncommon, swelling and skin discoloration may persist for long periods of time and, in rare situations, may be permanent. Skin Sensitivity: Itching, tenderness, or exaggerated responses to hot or cold temperatures may occur after surgery. Usually this resolves during healing, but in rare situations it may be chronic. Major Wound Separation: Wounds may separate after surgery. Should this occur, additional treatment including surgery may be necessary. Sutures: Most surgical techniques use deep sutures. You may notice these sutures after your surgery. Sutures may spontaneously poke through the skin, become visible or produce irritation that requires suture removal. Delayed Healing: Wound disruption or delayed wound healing is possible. Some areas of the skin may not heal normally and may take a long time to heal. Areas of skin may die. This may require frequent dressing changes or further surgery to remove the non-healed tissue. Individuals who have decreased blood supply to tissue from past surgery or radiation therapy may be at increased risk for delayed wound healing and poor surgical outcome. Smokers have a greater risk of skin loss and wound healing complications. Damage to Deeper Structures: There is the potential for injury to deeper structures including nerves, blood vessels, muscles, and lungs (pneumothorax) during any surgical procedure. The potential for this to occur varies according to the type of procedure being performed. Injury to deeper structures may be temporary or permanent. Fat Necrosis: Fatty tissue found deep in the skin might die. This may produce areas of firmness within the skin. Additional surgery to remove areas of fat necrosis may be necessary. There is the possibility of contour irregularities in the skin that may result from fat necrosis. Seroma: Infrequently, fluid may accumulate between the skin and the underlying tissues following surgery, trauma or vigorous exercise. Should this problem occur, it may require additional procedures for drainage of fluid. Surgical Anesthesia: Both local and general anesthesia involve risk. There is the possibility of complications, injury, and even death from all forms of surgical anesthesia or sedation. Shock: In rare circumstances, your surgical procedure can cause severe trauma, particularly when multiple or extensive procedures are performed. Although serious complications are infrequent, infections or excessive fluid loss can lead to severe illness and even death. If surgical shock occurs, hospitalization and additional treatment would be necessary. Pain: You will experience pain after your surgery. Pain of varying intensity and duration may occur and persist after surgery. Chronic pain may occur very infrequently from nerves becoming trapped in scar tissue or due to tissue stretching. Cardiac and Pulmonary Complications: Pulmonary complications may occur secondarily to both blood clots (pulmonary emboli), fat deposits (fat emboli) or partial collapse of the lungs after general anesthesia. Pulmonary emboli can be life-threatening or fatal in some circumstances. Inactivity and other conditions may increase the incidence of blood clots traveling to the lungs causing a major blood clot that may result in death. It is important to discuss with your physician any past history of swelling in your legs or blood clots that may contribute to this condition. Cardiac complications are a risk with any surgery and anesthesia, even in patients without symptoms. If you experience shortness of breath, chest pain, or unusual heart beats, seek medical attention immediately. Should any of these complications occur, you may require hospitalization and additional treatment. Allergic Reactions: In rare cases, local allergies to tape, suture material and glues, blood products, topical preparations or injected agents have been reported. Serious systemic reactions including shock (anaphylaxis) may occur in response to drugs used during surgery and prescription medicines. Allergic reactions may require additional treatment. Asymmetry: Symmetrical body appearance may not result after surgery. Factors such as skin tone, fatty deposits, skeletal prominence, and muscle tone may contribute to normal asymmetry in body features. Most patients have differences between the right and left side of their bodies before any surgery is performed. Additional surgery may be necessary to attempt to diminish asymmetry. Surgical Wetting Solutions: There is the possibility that large volumes of fluid containing dilute local anesthetic drugs and epinephrine that is injected into fatty deposits during surgery may contribute to fluid overload or systemic reaction to these medications. Additional treatment including hospitalization may be necessary. Persistent Swelling (Lymphedema): Persistent swelling in the legs can occur following surgery. Unsatisfactory Result: Although good results are expected, there is no guarantee or warranty expressed or implied, on the results that may be obtained. You may be disappointed with the results of surgery. Asymmetry, unanticipated shape and size, loss of function, wound disruption, poor healing, and loss of sensation may occur after surgery. Size may be incorrect. Unsatisfactory surgical scar location or appearance may occur. It may be necessary to perform additional surgery to improve your results. Smoking, Second-Hand Smoke Exposure, Nicotine Products (Patch, Gum, Nasal Spray): Patients who are currently smoking or use tobacco or nicotine products (patch, gum, or nasal spray) are at a greater risk for significant surgical complications of skin dying, delayed healing and additional scarring. Individuals exposed to second-hand smoke are also at potential risk for similar complications attributable to nicotine exposure. Additionally, smoking may have a significant negative effect on anesthesia and recovery from anesthesia, with coughing and possibly increased bleeding. Individuals who are not exposed to tobacco smoke or nicotine-containing products have a significantly lower risk of this type of complication. Please indicate your current status regarding these items below: ___ I am a non-smoker and do not use nicotine products. I understand the potential risk of second-hand smoke exposure causing surgical complications. ___ I am a smoker or use tobacco / nicotine products. I understand the risk of surgical complications due to smoking or use of nicotine products. ___ I have smoked and stopped approximately _________ ago. I understand I may still have the effects and therefore risks from smoking in my system, if not enough time has lapsed. It is important to refrain from smoking at least 6 weeks before surgery and until your physician states it is safe to return, if desired. I acknowledge that I will inform my physician if I continue to smoke within this time frame, and understand that for my safety, the surgery, if possible, may be delayed. Medications and Herbal Dietary Supplements: There are potential adverse reactions that occur as the result of taking over-the-counter, herbal, and/or prescription medications. Aspirin and medications that contain aspirin interfere with clotting and can cause more bleeding. These include non-steroidal anti-inflammatories such as Motrin, Advil, and Alleve. It is very important not to stop drugs that interfere with platelets, such as Plavix, which is used after a stent. It is important if you have had a stent and are taking Plavix that you inform the plastic surgeon. Stopping Plavix may result in a heart attack, stroke and even death. Be sure to check with your physician about any drug interactions that may exist with medications that you are already taking. If you have an adverse reaction, stop the drugs immediately and call your plastic surgeon for further instructions. If the reaction is severe, go immediately to the nearest emergency room. When taking the prescribed pain medications after surgery, realize that they can affect your thought process and coordination. Do not drive, do not operate complex equipment, do not make any important decisions and do not drink any alcohol while taking these medications. Be sure to take your prescribed medication only as directed. Sun Exposure – Direct or Tanning Salon: The effects of the sun are damaging to the skin. Exposing the treated areas to sun may result in increased scarring, color changes, and poor healing. Patients who tan, either outdoors or in a salon, should inform their surgeon and either delay treatment, or avoid tanning until the surgeon says it is safe to resume. The damaging effect of sun exposure occurs even with the use sun block or clothing coverage. Travel Plans: Any surgery holds the risk of complications that may delay healing and delay your return to normal life. Please let the surgeon know of any travel plans, important commitments already scheduled or planned, or time demands that are important to you, so that appropriate timing of surgery can occur. There are no guarantees that you will be able to resume all activities in the desired time frame. Disease: Cancer can occur independently of surgery. Individuals with a personal history or family history of cancer may be at a higher risk of breast cancer than someone with no family history of this disease. It is recommended that all women perform periodic self-examination of their breasts, have mammography according to American Cancer Society guidelines, and seek professional care should a breast lump be detected. 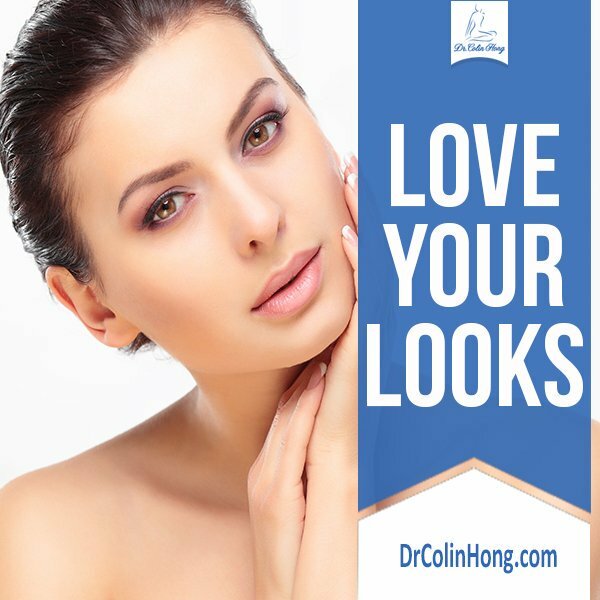 Long-Term Results: Subsequent alterations in the appearance of your body may occur as the result of aging, sun exposure, weight loss, weight gain, pregnancy, menopause or other circumstances not related to your surgery. Body-Piercing Procedures: Individuals who currently wear body-piercing jewelry in the surgical region are advised that an infection could develop from this activity. Female Patient Information: It is important to inform your plastic surgeon if you use birth control pills, estrogen replacement, or if you suspect you may be pregnant. Many medications including antibiotics may neutralize the preventive effect of birth control pills, allowing for conception and pregnancy. Intimate Relations After Surgery: Surgery involves coagulating of blood vessels and increased activity of any kind may open these vessels leading to a bleed, or hematoma. Activity that increases your pulse or heart rate may cause additional bruising, swelling, and the need for return to surgery and control bleeding. It is wise to refrain from intimate physical activities until your physician states it is safe. Mental Health Disorders and Elective Surgery: It is important that all patients seeking to undergo elective surgery have realistic expectations that focus on improvement rather than perfection. Complications or less than satisfactory results are sometimes unavoidable, may require additional surgery and often are stressful. Please openly discuss with your surgeon, prior to surgery, any history that you may have of significant emotional depression or mental health disorders. Although many individuals may benefit psychologically from the results of elective surgery, effects on mental health cannot be accurately predicted. The cost of surgery involves several charges for the services provided. The total includes fees charged by your surgeon, the cost of surgical supplies, anesthesia, laboratory tests, and possible outpatient hospital charges, depending on where the surgery is performed. Depending on whether the cost of surgery is covered by an insurance plan, you will be responsible for necessary co-payments, deductibles, and charges not covered. The fees charged for this procedure do not include any potential future costs for additional procedures that you elect to have or require in order to revise, optimize, or complete your outcome. Additional costs may occur should complications develop from the surgery. Secondary surgery or hospital day-surgery charges involved with revision surgery will also be your responsibility. In signing the consent for this surgery/procedure, you acknowledge that you have been informed about its risks and consequences and accept responsibility for the clinical decisions that were made along with the financial costs of all future treatments. 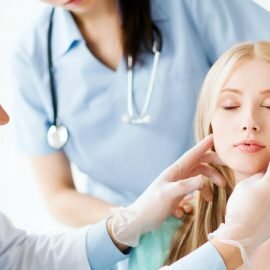 ___I understand that with cosmetic surgery, I am responsible for the surgical fees quoted to me, as well as additional fees for anesthesia, facility (OR), and possibly laboratory, X-ray, and pathology fees. Surgicenters, Outpatient Centers, and Hospitals often have rules that certain tissue/implants removed during surgery must be sent for evaluation which may result in additional fees. Please check with your surgeon to receive an estimate of any additional costs that you may be charged. ___I understand that there will be a non-refundable fee for booking and scheduling my surgery of $_________________, which is a part of the overall surgical fee. Should I cancel my surgery without an approved medically acceptable reason, submitted in writing and acceptable to the practice, within _____ weeks of the scheduled surgery, this fee is forfeited. While this may appear to be a charge for services which were not provided, this fee is necessary to reserve time in the OR and in the practice, which are done when I schedule. ___ I understand and unconditionally and irrevocably accept this.